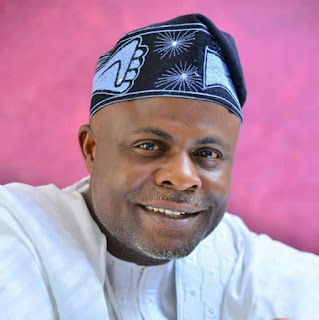 One of Nigeria's leading socio-political groups christened Action Group Renewal Organization (AGRO, Nigeria) has sent its congratulatory message to the All Progressives Congress (APC) governorship hopeful in Ekiti State, Honourable Bamidele Faparusi, as he attains the age of 46 on Sunday. In a statement widely circulated on Saturday by the group's initiator and founder, Comrade Adeyinka Fadumiye, and made available to newsmen, the group described Honourable Faparusi as a colossus, firebrand, unassuming democrat, focused leader and statesman who had over the years displayed uncommon commitment and passion for the growth and development of Ekiti State and the country at large. "As you worthily celebrate this auspicious occasion on Sunday, December 3rd, 2017, we join your family, friends, protègès, well wishers and in particular, the APC family in Ekiti State and the country at large in celebrating God for His grace and life of service to humanity He has blessed you with these past 46 years"
"Distinguished honourable Faparusi, we are not only inspired by your simplicity, doggedness, sagacity and resourcefulness but we are also proud to be associated with you because you are phenomenal, a philanthropist par excellence, source of inspiration and a leader who has been able to fortify his intellect and temperament with the carapace of humility, uprightness, audacity, radiating charisma, tenacity of purpose and resilient hope for the change we seek"
"We therefore wants to use this medium to pledge our unflinching and unalloyed support to you in your bid to contest and win the forthcoming governorship election in Ekiti State. More so, we have absolute confidence in your ability to take Ekiti State out of obscurity and its current precarious state to prominence and sustainable development"
The group however, wished Faparusi happy 46th Birthday celebrations and prayed that God will grant him remarkable victory at the forthcoming governorship primaries of his party and at the general election in 2018.